Business etiquette is hugely important in the singing business, but it's unfortunately one of those things that people seem to learn the hard way after they've already breached the social niceties. I mean, if no one has ever shown you how to handle yourself in a particular situation, then odds are you might find yourself, through no fault of your own, inadvertently putting the wrong foot forward. No-showing to auditions is a major no-no. In my head right now I can hear a hundred musical directors emphatically high-fiving each other and yelling "PREACH". An audition appointment is a commitment. If you were granted a time and if you accepted that time, then you've made a commitment. If for some reason you can't be there, then it's a best practice to follow the same procedures for cancelling that you would for any other obligation, which is always to give fair notice and your sincere regrets (see On Cancelling). If you don't give that notice - if you don't make any attempt to inform the company about your change of plans - then that's a no-show. Now, is it a disaster for the organizers if you just don't come, either because you didn't feel like it or had something else come up? Will the seas boil and the heavens collapse? No, definitely not. Some companies will even give you the benefit of the doubt, kindly assuming that you're just trapped underneath something heavy in an area with no cell phone service. But some companies - actually, probably most companies - will notice and remember, because if you no-show without giving notice, then you've wasted the company's time and resources. You've potentially cost someone else a slot who would happily have been there, and/or the panel could have gone home earlier. The (very tired) audition coordinator gets instantly irritated at the time they wasted handling your materials and communicating with you. Bottom line: it's considered kind of rude. It's also a clear "priorities" message. Would you accept a second date from someone who stood you up for the first? Maybe, if they had a doctor's note, apologized profusely, and also were named Tom Hiddleston, because in that case obviously they can do no wrong and all should be forgiven CALL ME, TOM. But for ordinary mortals, you might not bother with another chance, because haven't you already learned everything about them you need to know? Singing is much the same. It's a trust-based business, so be mindful of never breaking trust with companies and colleagues: booking an audition time and then not appearing with no notice is a pretty big singing business etiquette breach. Don't do it, guys! 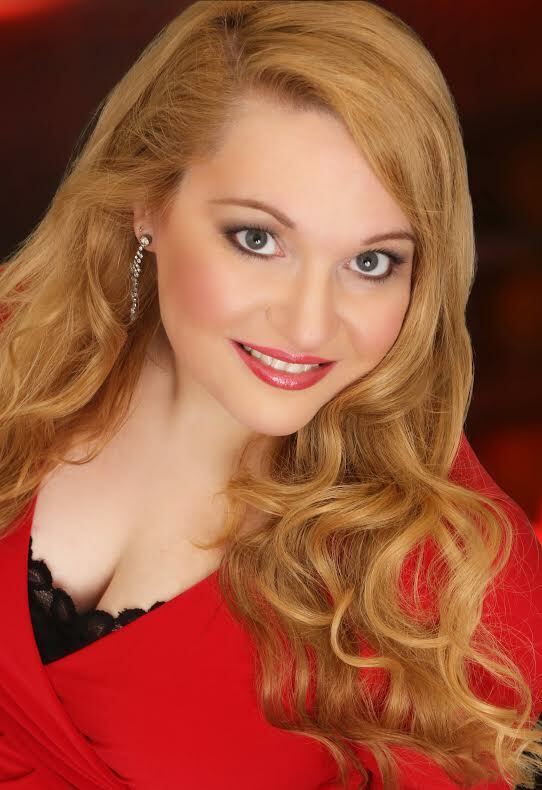 Angela Jajko, mezzo-soprano, is the Editor of the BSR Blog. A popular performer of opera, operetta, musical theatre, and oratorio, she has been praised in such publications as the Boston Globe and the Herald for her “peaches and cream” voice and dramatic delivery. Her recent performances have included acclaimed appearances with the Boston Outside the Box Festival, Opera New Hampshire, Piccola Opera, as a featured soloist on the National Public Radio program “Says You!”, with Opera Providence in The Romany Maid, as a featured soloist with Cape Symphony in “Passport to England” in the Barnstable Performing Arts Center, as Buttercup in H.M.S. Pinafore with Longwood Opera and The New England Gilbert & Sullivan Society, as the alto soloist in Handel’s Messiah with Maplewind Arts, as the alto soloist in Mozart’s Requiem with Boston Cecilia at All Saints Brookline, and in the role of Prinz Orlofsky in Die Fledermaus with the North End Music and Performing Arts Center Opera Project in Faneuil Hall. Angela is the Alto Soloist at All Saints Brookline, and has also appeared as Miss Hannigan in Annie with Crescendo Theatre Company, The Lady of the Lake in Spamalotat Theatre at the Mount, selections from Carmen in The Greater Worcester Opera Gala in Mechanics Hall, Tessa in The Gondoliers with The Sudbury Savoyards, Orlofsky in Die Fledermaus with New England Light Opera, Carmen with Greater Worcester Opera, Offenbach’s Island of Tulipatan with New England Light Opera, the roles of Ruth, Buttercup, Phoebe, Katisha, and The Fairy Queen in concert with the New England Gilbert & Sullivan Society, and as a featured soloist in concerts with Opera on Tap, Masstheatrica, FIRSTMusic, Ocean Park Festival Chorus, Parish Center for the Arts and New Hampshire Opera Theatre. Her performances have also included the roles of Carmen, Theodorine, Augusta, Marcellina, Hermia, Savitri, Pirate Jenny, and La Zia Principessa. She has also performed with Odyssey Opera, PORTopera, Granite State Opera, Longwood Opera, BASOTI, Harvard University, and the International Lyric Academy in Viterbo, Italy. She has been honored by the American Prize competition and holds degrees in Vocal Performance from The New England Conservatory of Music and the University of California at Los Angeles. She is currently the Associate Executive Director of NELO, President of the New England Gilbert & Sullivan Society, a Board Member of Boston Singers’ Resource, and was recently a Board Member of L’Académie, a critically acclaimed orchestra specializing in performances of French Baroque music in health institutions. Angela gives workshops and masterclasses and maintains a private studio specializing in audition techniques, and she has served as Costumer for a number of productions with companies including Guerilla Opera, Company One, NELO, BASOTI and Longwood Opera. She has also served as a Director for NELO’s Rising Stars program and in other productions as Assistant Director, Stage Manager, and Props Master. She has extensive experience in administration, office management, and event management in a variety of industries. Visit her at http://angelajajko.com/.